Chocolate covered cherries are a gift all in their selves. For years we would give those we love a box of chocolate cherries. My sister in law also made her own chocolate covered cherries each year. January 3rd is the day to honor chocolate covered cherries and I decided to bake cookies with that same chocolate covered cherries flavor. These cookies are a bit magic as you will not know the cherry is there until you bite into the cookie. The cake mix helps make the cookie dough extremely moist and almost brownie like. This recipe is also easy to make. 2. In a large bowl, stir the cake mix, vegetable oil, and eggs with a spoon until dough forms. 3. Take a small ball of dough and shape the dough around one cherry and roll into a ball. Repeat for each cookie. 4. Place the balls about 2 inches apart on an ungreased cookie sheet. Bake for 9-11 minutes or until set. Cool then sprinkle with powdered sugar. To start this festival there are a few decisions that must be made. 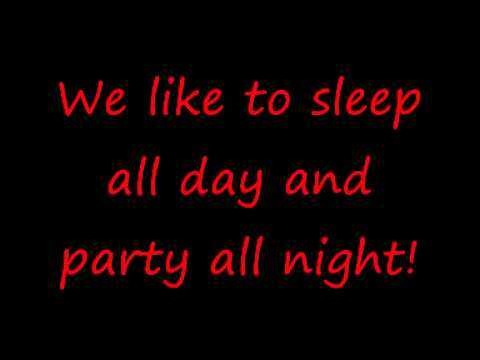 To start with will you be sleeping alone or with someone else. Will you be cuddling with a pet or maybe a stuffed animal? Will you celebrate in bed or on the couch?? After those important decisions are made then you must decide on how long you will participate. Will it be a quick but powerful time, a simple short cat nap, or will you take the entire day to leisure away. However, long it is make it count and enjoy the sleep that you can get. Put on P.Js or simple shorts and tee or whatever it is that you like to sleep in. Get into a comfortable sleeping position. 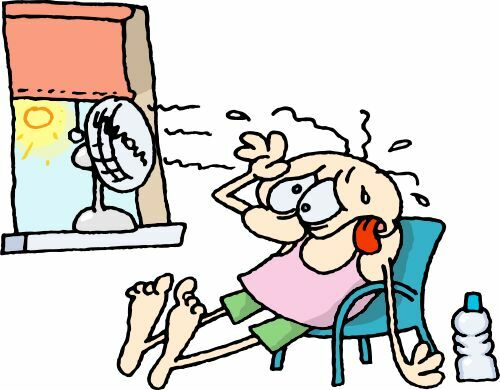 It is a day to relax, be comfortable and lazy. Rest is all that you are on the search of. Sleep is important as it refreshes the body and lessens stress. 1 Soak the sliced shallots in the lemon juice as you get ready to make the rest of the salad. 2a To roast the asparagus, preheat the oven to 400°F. Coat the asparagus spears with 1 Tbsp of olive oil, and salt them well. Lay in a single layer in a foil-lined roasting pan, and cook for 8-10 minutes until lightly browned and fork tender. 2b To grill the asparagus, prepare your charcoal or gas grill for high direct heat. Coat the asparagus with 1 Tbsp of olive oil and sprinkle with salt. Grill them until nicely charred and fork tender, between 5 to 10 minutes. January is always a great month to get organized. One fun thing for us to do and make our lives easier as well is to let the kid help. When they start to walk is a great time to let them start helping. They think it is fun and will not consider it something they have to do. 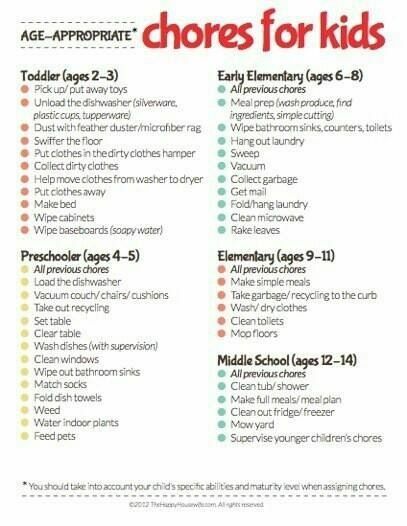 Meals, home school, homework, playtime, and cleaning chores are made easier if they are on schedule. Time is essential for me and a goal as well. I use time to let me know when something needs to be done. Breaking a task down into different cleaning chores makes it easier as well. Keeping a menu in our house keeps down the chaos at meal time. We use the menu so the "whats for supper" question does not come up. It also allows us to ensure the needed supplies are ready for the week, take out frozen supplies to thaw in time, and any prepare ahead dishes to be ready as well. 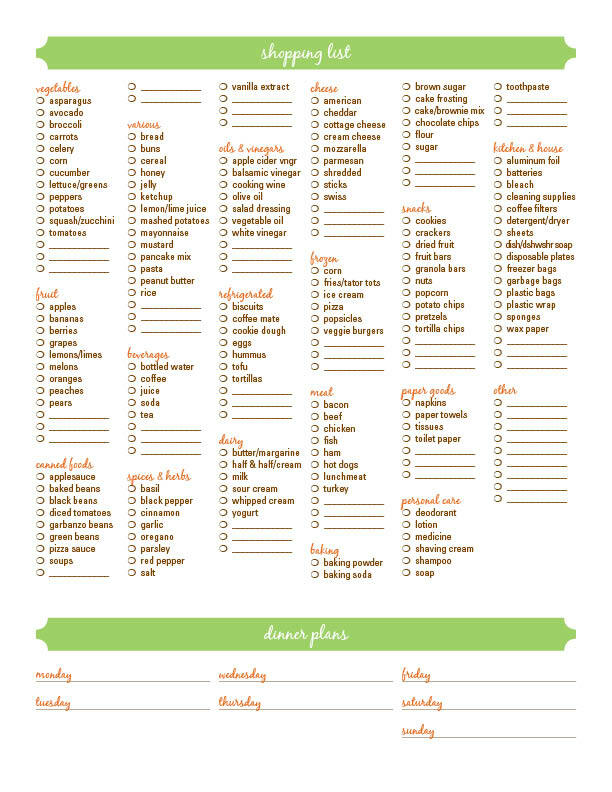 Keeping a list of needed items to take shopping with us helps as well. The note is all ready there and ready for the needed item to be noted down When someone in the house goes out shopping the needed items can be purchased. The list is there so anyone can add needed items so if someone sees something we need it is wrote down and the pressure is not on one person. agree they would not receive federal funding for highway repair. The federal 1974 Emergency Highway Energy Conservation act prohibited speed limits higher than 55 miles per hour. The act came about because of a spike in oil prices and supply disruption during the 1973 oil crisis. Not only did motorists dislike the new law but most state opposed the law as well. In 1987 and 1988 the speed limit on certain access and rural roads the speed limit was lifted to 65.
Who doesn't love a buffet. Wait , don't answer that, I have a few friends that for one reason or another do not like buffet's. I believe that many more are like me and love a great buffet. 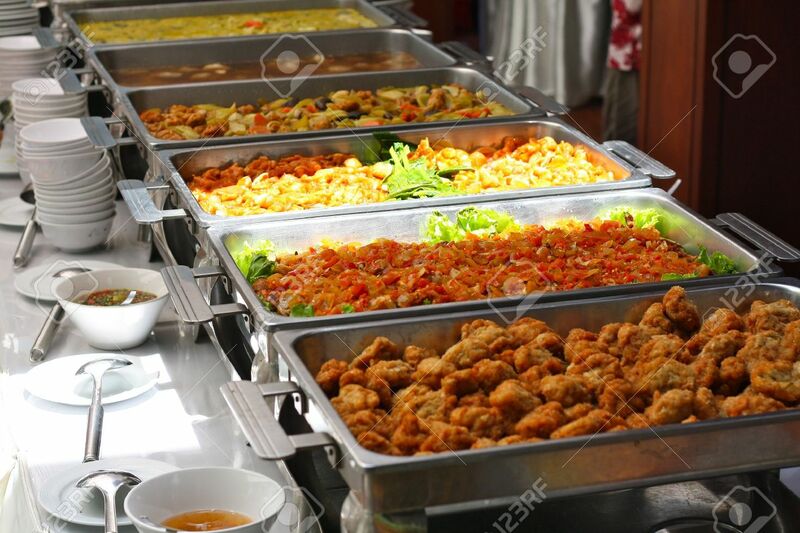 So I have great news, January 2nd is dedicated to buffets Host or attend a buffet, enjoy a table spread with enough food to keep you full for a whole day. Buffets are filled with so many awesome goodies that make eating all day fun and exciting. A smorgasbord is a type of "meal" that guests gather for a pre dinner drink and small talk. History shares that men and women shared a smorgasbord meal in different rooms. 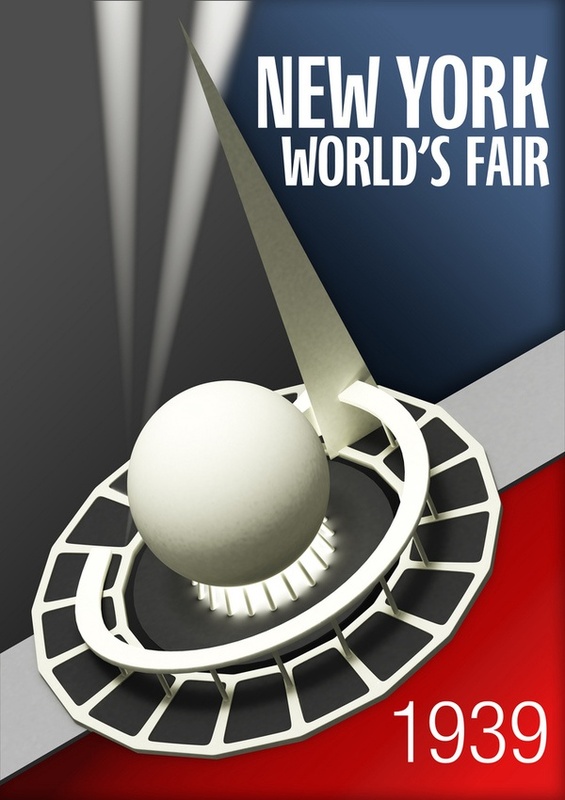 The 1939 New York World's fair exhibition served up a smorgasbord of the best Swedish cuisine. This type of meal there ater was known as a buffet. You may also consider preparing your own buffet. Make your favorite dishes including some great Swedish specialties. Put a large pot of salted water (1 teaspoon salt for every quart of water) on to heat, for the pasta. Heat a large sauté pan on medium high heat. Melt 1 teaspoon butter in the pan and swirl it around. Sprinkle the bottom of the pan generously with salt. Working in batches as not to crowd the meat (crowding it will make it hard to brown), break up the ground beef and add it to the pan. Sprinkle the meat with salt. Do not stir the meat, as stirring will prevent browning. Once the meat is well browned on one side (a couple minutes, depending on how hot the pan), use tongs or a fork or a metal spatula to flip to the other side. Once that side is browned as well, use a slotted spoon to remove from the pan and set aside. Continue to brown the meat in batches, adding a teaspoon of butter to the pan with each batch if needed, and salting the pan and the meat, until it is all browned. Remove meat from pan. Drain excess fat from pan. Lower the heat to medium. Add the onions to the pan. If you are working with very lean meat, you may not have any residual fat in the pan. If this is the case, you'll want to add in a tablespoon of olive oil or butter to the pan. Cook the onions, scraping up the meat drippings, until soft, about 5 minutes. Remove onions from the pan (add to the meat). Depending on the cooking times of your particular brand of pasta, this is likely a good time to add the pasta to the (should be now) boiling, salted water. While the pasta is cooking, add a tablespoon of butter to the pan, increase the heat to medium high. Add the sliced mushrooms. Sauté until nicely browned (about 4 minutes). Add the sherry (or dry white wine or water) to the pan to deglaze the pan, scraping up any browned bits. Let the sherry reduce by at least a half, then lower the heat to low. Remove the pan from the heat. Mix in the sour cream and paprika until smooth. Return the pan to very low heat, and not let the sour cream boil (or it may curdle). You may add a few tablespoons of water to the mixture to thin it out a bit at any time. Stir in the lemon juice, and about 1/4-1/2 teaspoon of salt (taste). Stir in the meat and onions. Stir in the chopped parsley. Add more salt, pepper, and/or paprika to taste. Keep the stroganoff on warm heat until the noodles are done cooking. When the noodles are ready (al dente) drain. 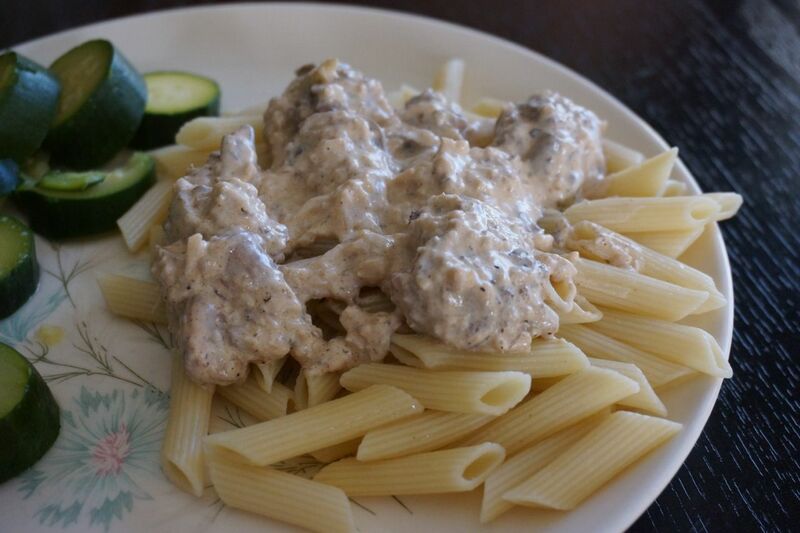 Serve the stroganoff on top of egg noodles. January is National Blood Donor Month. The American Red Cross encourages people to roll up their sleeves to give blood. This will help ensure there is a sufficient blood supply for all that need it. 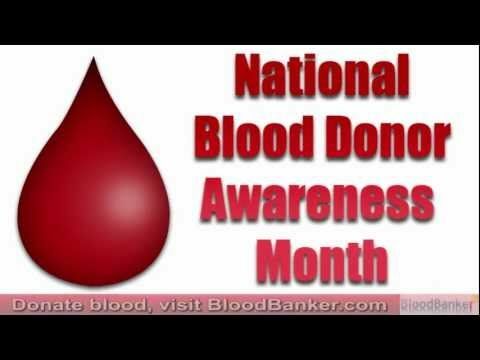 National blood donor month started in 1970. It honors both those who donate blood and platelets. It is also to help increase donations during the winter months where extreme winter weather and seasonal illnesses often impact donor turnout. The Red Cross encourage eligible donors to resolve to give blood regularly. Donors with all blood types are needed, with the greatest need of AB, O, B negative and A negative. A new year can be inspiration enough to get us going. The change that says we can start over and go forward in what every direction we chose to. All we have to do is chose to do it and then move forward and before long we can repeat the words "we did". Global Family Day is a day for all humans to unite in peace. Global Family Day is for all faiths, cultures, races, nationalities and economic classes. For 48 hours January 1st and 2nd families will break bread together, ring bells, and pledge to find a non violent solution to problems in the new year. Call together your friends, families, neighbors, co-worker, and ask them to celebrate with you in the Global Family Day. This holiday is used in our society to inspire and unify individual groups. We are all apart of the global family and this holiday can be shared so that we can remind our leaders we need global solutions for the world's most pressing challenges. Scottish citizens often repeat a Northern English folklore where the first foot in the home is the first person to enter the home of a household on New Years Day will be a bringer of good future for the coming year. 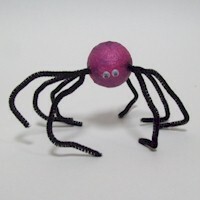 The first footer may be a resident of the house if they were not in the house at the stroke of midnight that morning. Many desire the first footer to be a tall, dark haired male. If it is a lady or man with fair hair that is the first footer that is often considered unlucky. The tale shares that the first footer brings along several gifts of bread, salt, coal, as well as a drink of whisky. These gifts all represent financial prosperity, food, flavor, warmth, and good cheer. This Scottish tradition is often elaborate and involves subsequent entertainment. Greek traditons have a similar visitor that either brings luck with them. Good luck or bad depends on who they are and what they bring. The lady of the hat will greet the guest with Christmas treats or pays them to ensure good luck will meet their home in the year. Preheat the oven to 350 F. Butter and lightly flour a 9" cake pan (I used a non-stick skillet). Mix the flour, baking powder, salt, baking powder, and room temperature butter. Add in the sugar, and mix. Add the egg, vanilla, and milk. Mix until fully combined. Pour the batter into the pan. It will be very think, almost like a bread dough, so spread it with a spatula or your hands if needed. Place the apples in a circular pattern over the top of the mix with the apricots in the center. In a bowl, combine the yogurt, sugar, and egg and beat with a fork. Pour the mixture over the top of the cake. Put in the oven and bake for 40 minutes, or until golden. Leave it in the turned off oven for another 15 minutes. America has become to be known as a nation of immigrants. Ellis Island a small island in upper New York Bay became a port for the newcomers. In 1890 Washington took control of immigration and Ellis Island was the first federal immigration station. 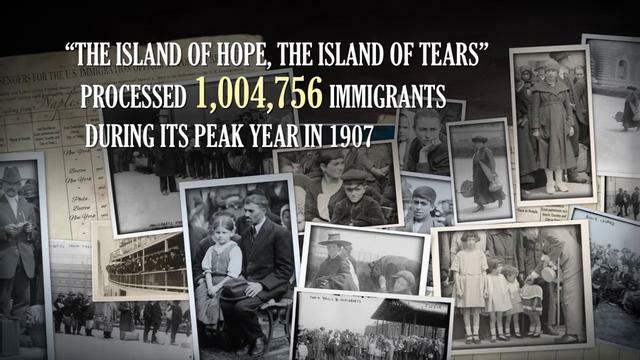 In the next six decades over 12 million immigrants would pass through Ellis island. The copyright law is very necessary for every day life. Without it we would always have disagreements over who owns what , what fair usage rules are, and those with their own ideas and intellectual property would be in a constant battle. The music industry, authors, magazine editors, T.V. stations and producers, computer programmers are groups that depend on the copyright law. Credit deserves with those that earn it. The copyright law is something we are all aware of but never quite sure of. In the beginning the copyright law only applied to books It gave authors control of and profit from them. Internet piracy is a common way to avoid paying the creators of various works. They download the works without paying for them and that is a form of copyright infringement. There are no only a few that engage in this activity but many and this is affecting various industries and millions of $$ being lost. Do you find your self enjoying meals out more often in the winter? If so then you will want to be aware that January is Be Kind to Food Servers Month. It is the food servers that try to make your dining out the most enjoyable they can be. We should always strive to be nice to everyone because that is how we would like to be treated. Remember the golden rule. Food Servers are simply trying to make a living. They are like the rest of us and most of them make less than minimum wage as they include tips in their income. Our tips that we leave our waiter or waitress helps to make up their income. The standard of tipping is around 20% of your bill. Therefore where ever you dine at remember to keep in mind that there are workers that depend on that % to bring home a fair wage. Another thing to keep in mind when dining out is to try to keep your patience. If something is wrong with the meal you are served have patience and ask for your money back if that bad or at least for a new plate. Often being treated with kindness will return the same favor. So you have resoled to eat healthier in 2016. Well, that is awesome news. As I stated I am here to help you along your way by trying to share post that you will find useful. 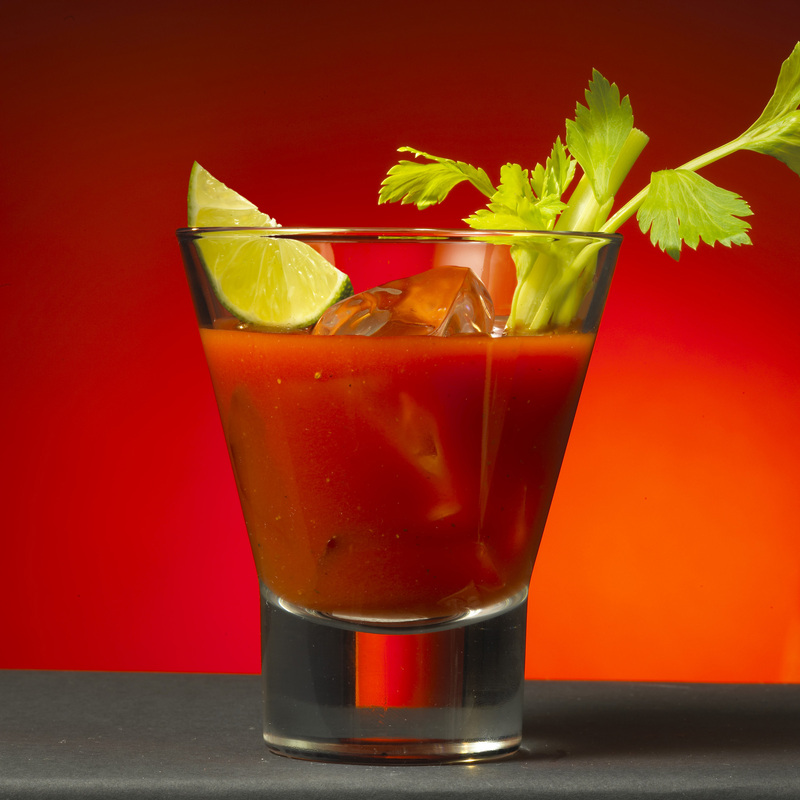 Bloody Mary drinks are cocktails that are nice to drink and the great part in it is that there is healthy tomato juice in it. Hang on there, look in your cupboards do you have tomato or vegetable juice? It may be there for a recipe you were going to cook or the time that you thought you would start living healthier and drinking vegetable juice would be part of your new diet. Fill four tall glasses with ice and add the liquid. Squeeze in the lemon and drop the lemon carcass right into the glass. Garnish and serve. 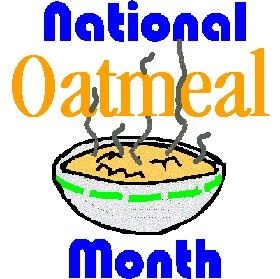 January is national oatmeal month. Here in southern Illinois where the weather is super cold and a big bowl of oatmeal helps one start the day of right. I believe the national month is pretty fitting. While, I love a big bowl of oatmeal there are so many other ways that oatmeal is used. My grandmother baked up cookies quite often and I loved them all. My favorite I would have to say were her chocolate chip banana oatmeal cookies. Yummy!!!! Preheat oven to 375 degrees. In a medium bowl, combine all of the dry ingredients. In a separate bowl, mix the oil, skim milk, banana and vanilla. Pour the wet ingredients into the dry and stir until everything is combined. Using a cookie scoop or large spoon, scoop the batter onto a cookie sheet. Bake for 10-12 minutes, or until the edges turn a golden brown. Let sit for 2 minutes, then transfer to a wire cooling rack. Start the year of blogging off right when you join in on the 30 day blogging challenge. Gain followers, build email list, and have so much fun. Today is January 1st and many will be making a resolution to try to make a goal in the new year 2016. 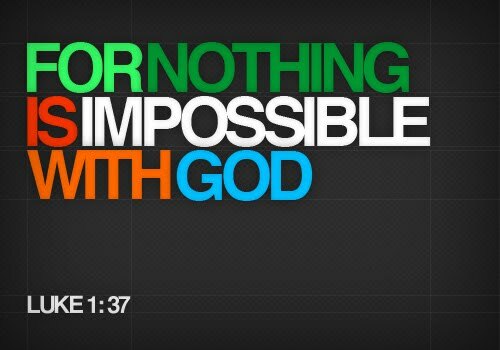 What is it that you will resolve to do? Will it be to drink less or diet?? Those are both pretty popular goals to set. 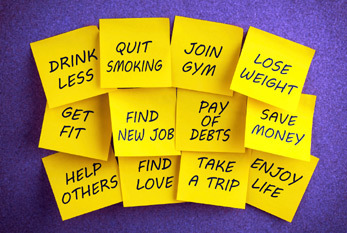 Perhaps you will resolve to quit smoking or to exercise more. Again popular choices both that take patience and determination. Have you a goal to find a new job or to pay off your debts. Those will for sure be great for your finances and well being. Perhaps you want to save more money, find someone to love, take a trip or even take time to enjoy life. 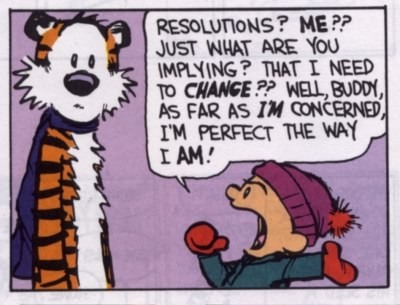 Those are all great resolutions to have and worthwhile as well. Perhaps this is the year that you want to resolve to help others in your community, town, state, country, or event the world. Whatever your resolution may be I resolve to do all I can to share great post that may help you along the way. perhaps you like your self just as you are. NO changes are needed and therefore you don't need to make a resolution. I do not personally believe that any of us are perfect and can always learn something new that will change us just a bit. But if you do see yourself as no changes needed all is fine and going well then I do hope that you continue to read our post as well. You never know you may find a tip or great recipe to help you from being hungry. To make time to do more with my family. Not to let work get in the way of having fun and spending time with the family. This is the year I would also love to make it to the mountains of Tennessee I make it a daily goal to find ways to help others and I want to keep that up as well. The first post on Annies Home for 2015 was this recipe for poor man trifle. What a delicious recipe and so pretty as well. The year started for us with many changes. Our oldest daughter was back in town and had moved in with her boyfriend. Yes thankfully she settled down and all is ok. Our oldest son was living with my brother but his world would change for the good as well in the year 2015. Our youngest son spent the beginning of last year dating a young lady that he was falling in love with as well. Our lives were changing and 2015 would prove to be the year for love. Including the wedding of our middle daughter. We welcomed a son to our family and we saw their love grow. January saw the family celebrating the top lady in our family. My mother and her 70th birthday. The first post of February 2015 was about that pesky little character that helps monitor the weather deciding if spring comes early or not. Happy Groundhog days come each year and we celebrate it goo or bad. By the way he did see his shadow in our area and followed was more winter. Hopefully this year, spring will come early as I am ready to get out there and enjoy the outdoors. 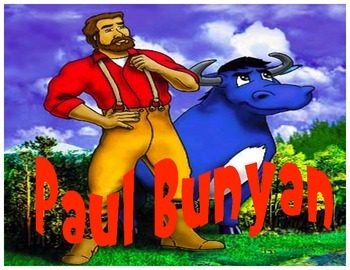 The top post that saw the most views was Paul Bunyan and a delicious vintage Paul Bunyan recipe. I must say that there was many that liked this post. While Paul and his blue ox have long been my favorite characters of tall tale fable I wonder if it was the burger recipe or the man himself that drew the crowd in. The first post of March was fittingly In like a lion, out like a lamb. Yes that is naturally how the weather starts and by the end of March we are looking forward to warmer weather. This year we will be celebrating a March birthday for the first time. It is the birthday of one of the young ladies that is now very much in the life of one of my sons. The top March post is for a snack with a sweet side. 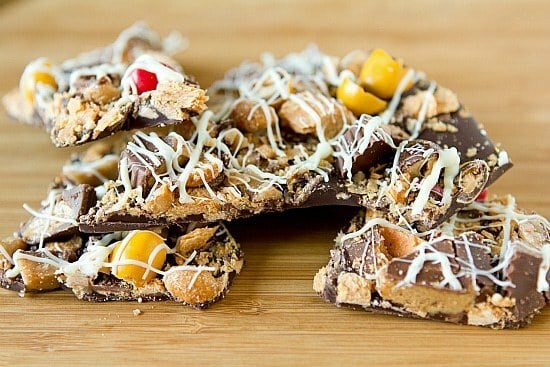 The White Chocolate Clusters have a crunch and are made up with ingredients that are very common like marshmallows and peanut butter. I am sure your crowd would very much approve if you wanted to make up a batch. The first post of April 2015 was a recipe for a pasta salad that was shared with our family during our Easter dinner. Our Easter dinner that year was a bit different as it was so warm so we headed out for a picnic with family members Our youngest son and his girlfriend planned the dinner for the whole family and for the most part we all had a fun time and this delicious salad with a Greek flair was a hit as well. 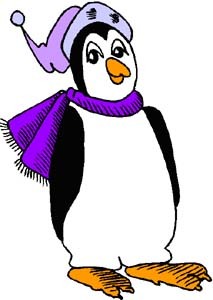 April sees the migration of penguins and celebrates the date as well. 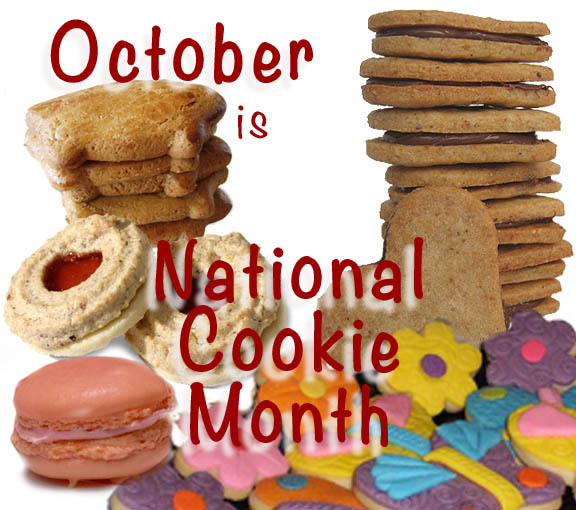 The top post of April shared about this as well as a yummy and fun recipe. If you like penguins or will be studying about them you will not want to miss this post. Our top family event that took place April 1st 2015 was my daughter marrying her life long friend. Well maybe life long is a bit more than I should say. You see my daughter was the school yard bully and her new husband was one she picked on and got in trouble a lot. Somehow their friendship did grow and their love did as well. The first post of May occurred on my son's birthday and was for one of his favorite recipes. 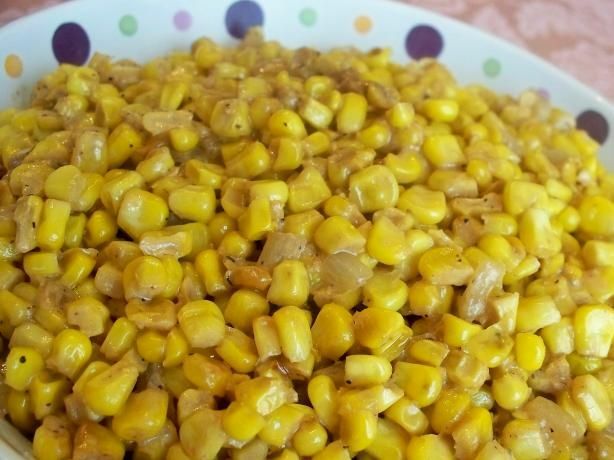 He just adores fried corn which was a recipe his grandmother made often. Many including his girlfriend have never heard of it but check out the post try the recipe and you may find you love it as much as we do. May finds us getting ready to go out and about early in the morning and we enjoy the day til late. You can rest assured that we get very hungry and recipes like the most liked recipe for May will help us from getting to that starving nation. The salted caramel butter bars are easy to take with us where ever we go. June started out with the first post on annies home teaching a short lesson on hazel nuts but also sharing a delicious coffee cake recipe. Needing a delicious breakfast treat or really you could serve it any time check out the Chocolate Hazelnut coffee cake. The top post in June saw us preparing for the July Holiday of independent day. It was a great post that shared both décor and a recipe to share with friends and family as well. We celebrated a few birthdays in June as well. These nuts who had birthdays included my husband, daughter and son. Summer time finds us going out a lot. We travel as a pack in our family and have lots of fun. July saw a lot of rain and just as it is doing here in our area now we were also preparing for a flood in July as well. The rain just seemed like it would not stop. 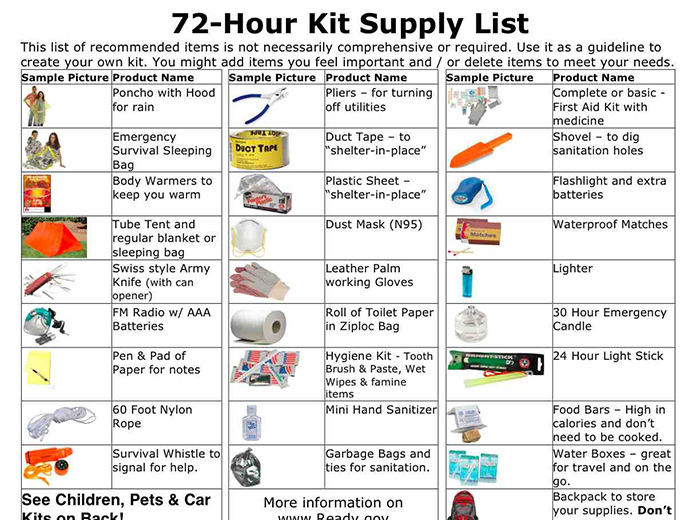 I wanted to share with you all some emergency prep when "the creeks are rising" then just as I think we should all always be prepared. With all the summer going ons it was no surprise that the top post in July was the review post for anywhere labels. Yes they go anywhere you need them to and their sister company safety tats helps keep the young ones safe as well. We started out the month with guide dog month. I learned as much as I hope my readers did in this post. September, my birthday month also belongs to a famous actor, producer and star to many. I share my birthday month with Alan Ladd. When I wrote about his birthday you all were very interested making it the top post of September. November started out with a birthday in our family and a great way to use up leftover candy on the blog. November is a rather cold month. One way I love to stay warm is to drink Hot apple cider. It must be of interest to lots of readers as it is the top post of November.